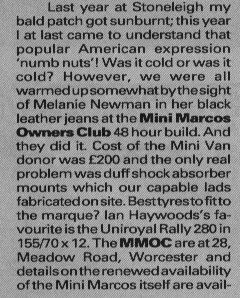 Top: Marque Time: coverage of MMOC’s 48-hour Mini Marcos build at the Stoneleigh Kit Car Show in 1991. Left: Game Set and Match to Martina! 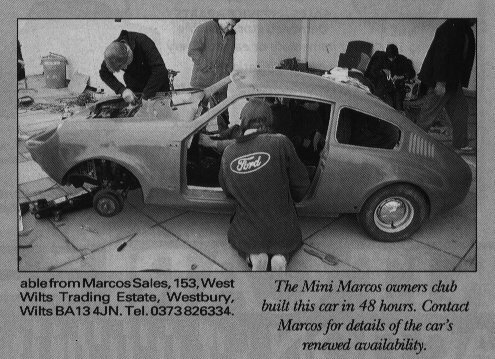 News of the Marcos Martina and the Mini Marcos relaunch at Stoneleigh. 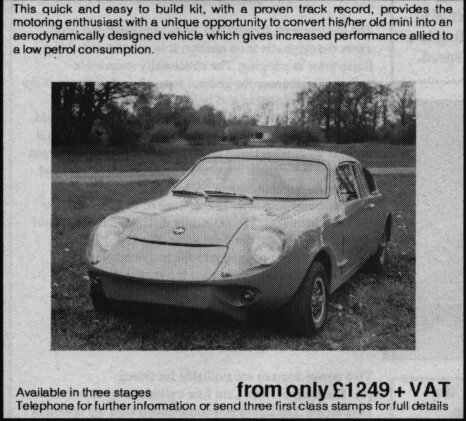 The display car was a Mk.IV as the significanlty modified Mk.V was not ready. 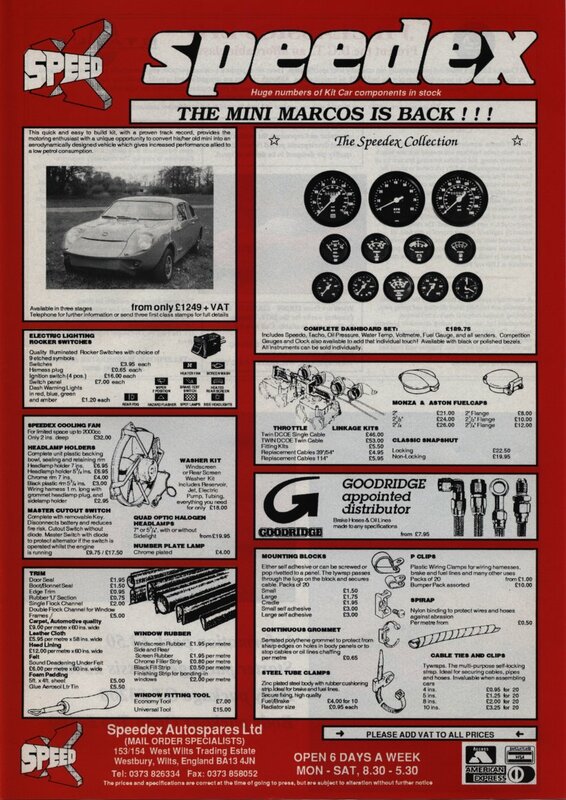 Above: Part of the Speedex advert in the same issue. Click to see the full page ad.